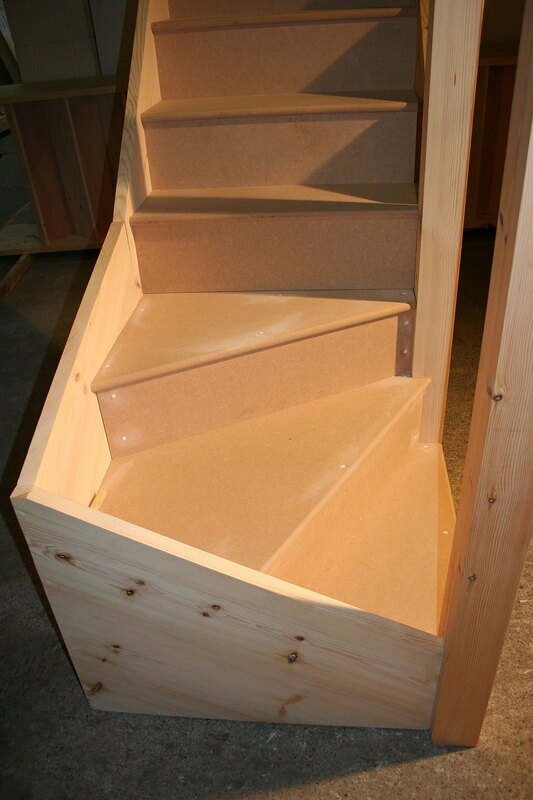 - Made from 18mm Hardwood-Plywood Frame and 18mm Ply Treads, with 18mm Softwood Risers. Choose 2, 3 or 4 Ply Treads from the drop-down menu. Made to your dimensions up to 36 inches square - ( Poa for larger sizes ). 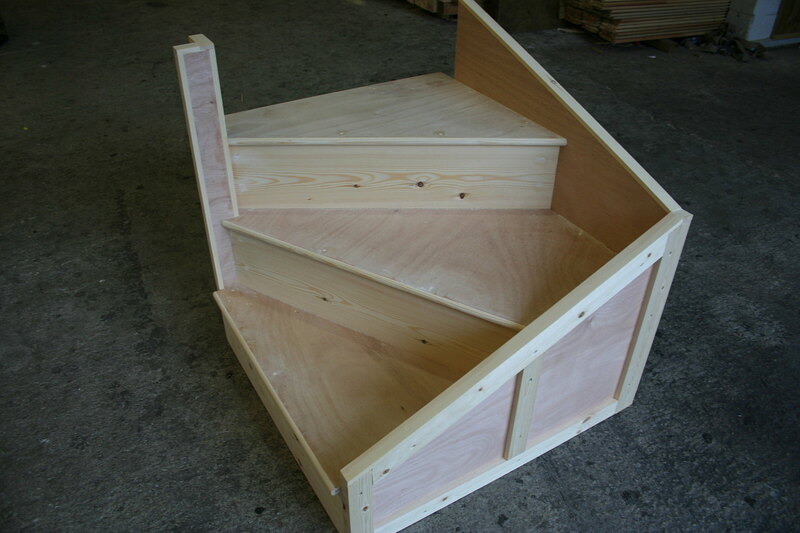 Traditional Domestic Winders can be made in your choice of timber including Pine, Sapele Hardwood, Ash and Oak. 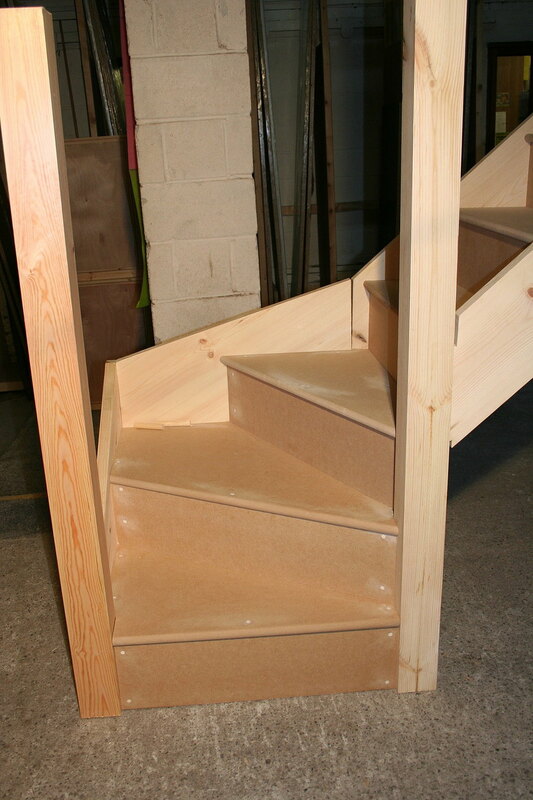 Just a note to say thank you very much for the timber winder stairs delivered the other week to Windsor, they fit like a glove and i am very impressed with the quality of the workmanship and materials. I will of course be using you again when we need to. Payment - We can take Debit Card, BACS, Cash, Cheque or Credit Card payment online for Kitewinder Stairs. Haulier Delivery by pallet is possible for Timber Kitewinder Stairs, charged per 1.2 metre pallet-space, and depending on post-code. E.&O.E. 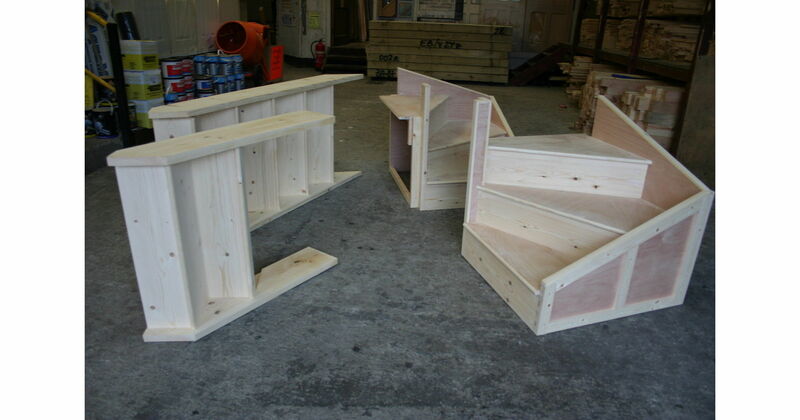 see T&C - We do try to keep prices and specifi­cations of Kitewinder Stairs correct, but mistakes can be made! Please let us us know if you do spot any errors - thanks.